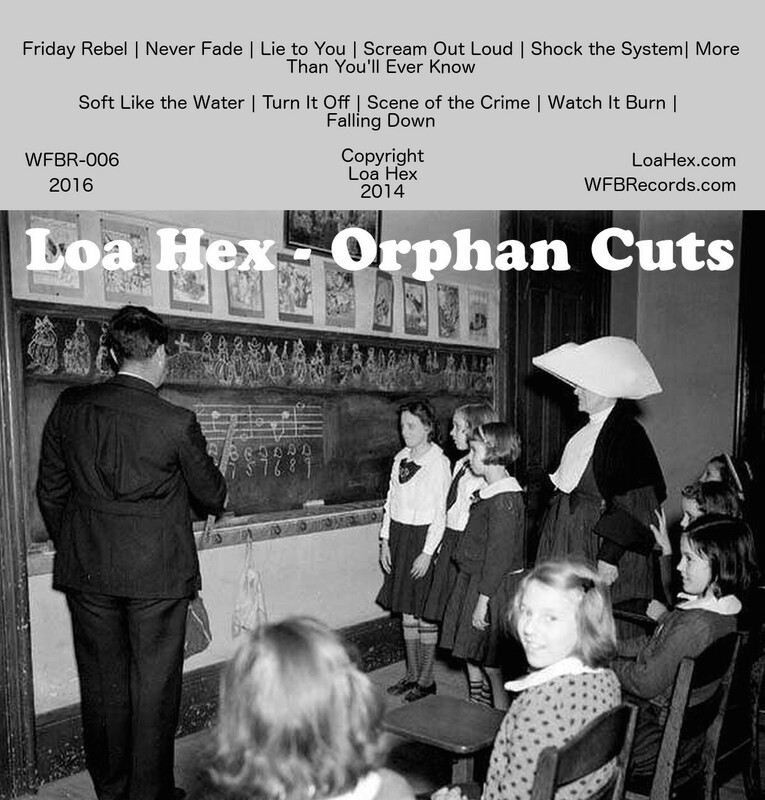 Loa Hex — Orphan Cuts cassette — A full length of studio cuts from Chicago sprit-freaks LOA HEX. A mix of heavy rock riffs, crunchy punk cuts, and ambient ‘verb-laden dirges, all with strong female vocals in front. Think Amy Winehouse and Billy Corgan fighting for the wheel of an out-of-control semi truck slaloming down a mountainside. This eleven-track tape (with a twelve-track download card) offers up tracks recorded in 2014, before a lineup change put these in a vault. The crypt has been busted wide open, the ghouls are getting out, and they’re rushing to get this tape queued up in their decks. Edition of 50, hand stamped, download included. $6.00 from WFBR mail order, plus $2.00 S&H. Painless wholesaling. Email WFBRecords@gmail.com for orders, or use our Storenvy store.